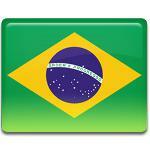 Republic Day is a public holiday in Brazil, that annually falls on November 15. This day celebrates the anniversary of proclamation of the Brazilian Republic on November 15, 1889. Brazil officially gained independence from Portugal on August 29, 1825. Prince Pedro I declared himself an emperor, resulting in establishment of the Empire of Brazil. He abdicated the throne in favor of his five-year-old son, who became Dom Pedro II. During his reign Brazil won three international wars, the slavery was abolished. Brazil suffered economic stagnation, that lasted for years. This led to a military coup, that overthrew Dom Pedro II on November 15, 1889. The officers, who organized the coup, declared the Federative Republic of Brazil. The provisional military government was established and Marshal Deodoro da Fonseca became the first President of Brazil. Brazilians get an additional holiday to celebrate Republic Day. The national flag is raised throughout the country and the parades and concerts are held on the streets.